Add Contacts 1.6.6 - Download Win Apps. 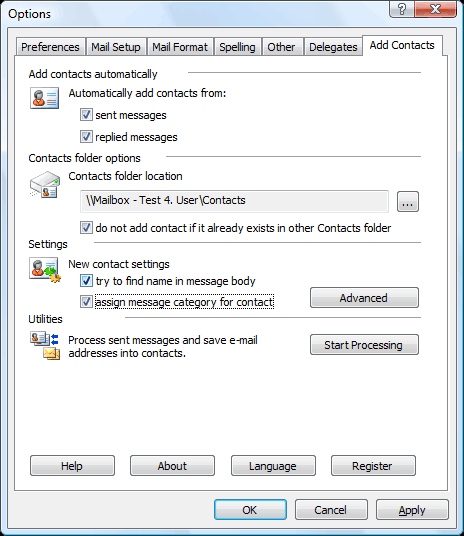 Microsoft Outlook add-in, the auto-adding of new email addresses as contacts. Microsoft Outlook add-in. AC automatically, adds e-mail addresses to the contact folder when you reply to a message and/or send a new message. ClearContext Pro is a GTD Outlook add-in that extends MS Outlook capabilities to automatically prioritize, organize, and manage information. Pro helps GTD users empty their inbox, identify next actions and view tasks by context.